I, along with most of my generation, are massive fans of 1995's Jumanji that saw Robin Williams as a man who'd been trapped for decades in a board game and could only be saved by having new players finish the game. It was terrific, imaginative, and exactly the kind of movie that made being a kid in the 90's so much fun. Needless to say, when most of us heard Sony would be making a new Jumanji film after the passing of Williams in 2014 it seemed there could only be one way in which such a thing would turn out: as total garbage. Ahead of Sony's co-producing effort with Marvel next week on the latest Spider-Man film the studio has dropped our first look at the new Jumaji and to my great surprise the film, subtitled Welcome to the Jungle, looks like a blast (though I like the tone of the international trailer more). Updating the board game to that of a 90's-style video game is a nice touch and having four Breakfast Club-like archetypes stumble upon it in detention only to play it and be sucked into the game and transform into the avatars they chose is another. While Juamji: Welcome to the Jungle will no doubt profit from being yet another Dwayne Johnson vehicle, and he looks to be in fine comic form here, what is more exciting about this premise for me is being able to see Jack Black get a showy role that he could really elicit some big laughs from. Black has done well to understand the current phase of his career and with both this and Goosebumps he is kind of establishing himself as the guy that will be fondly remembered by the tweens and younger teens of the current generation for being the funny dude in all of their favorite movies-that is, if this turns out to be as good as it looks. Better even, when they get older, they can go back and discover even more of Black's rather impressive collection of work. Also of note is the inclusion of Kevin Hart who I am happy to see reunite with Johnson on any level after Central Intelligence and who I look forward to seeing mix it up with Black as well-there could certainly be some untapped comedic chemistry between the two especially given the characters they are playing here. The wild card of the bunch is Karen Gillan whose outfit was criticized after the first cast photo was released, but trust there is justification stated for it here. I greatly enjoyed Gillan's performance in Guardians Vol. 2 and hope she doesn't remain the wild card for much of this films runtime and is welcomed into the boys club with open arms. While I still can't get over how much better this looks than I initially imagined I'll hold out any official celebrations until after the movie opens this Christmas. 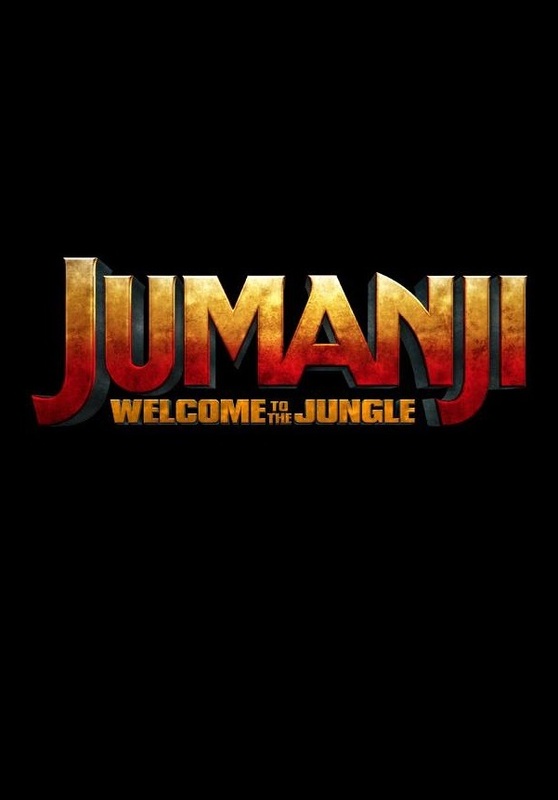 Jumanji: Welcome to the Jungle also stars Missi Pyle, Bobby Cannavale, Rhys Darby, Marc Evan Jackson, Nick Jonas, Alex Wolff, Madison Iseman, Ser'Darius Blain, Morgan Turner, and opens on December 20th, 2017.